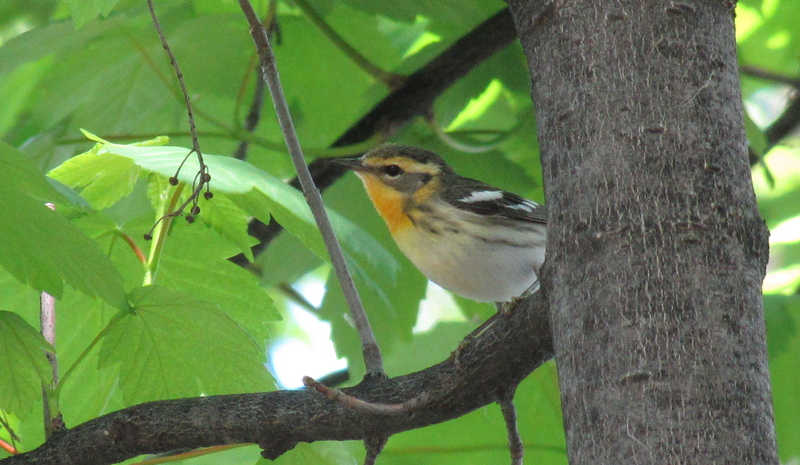 Central Park, NYC, 22 Warblers!!!! It was a day for the races, and no less my best day of birding during spring migration EVER. James Orrico, James Randall and I departed Fairfield at the bright and early hour of 5:00 heading for a famed destination for watching spring migration at it’s very best. It was a day where, somehow or another we were able tick away 3 lifers, 11 year birds, and 22 species of Wood-Warbler. “Wow,” you must be saying. Those numbers in such a big city. How?? Many of the best spots aka migration traps in the Northeast (Birdcraft, East Rock and Central Park) are in the middle of very large open areas. Take a migrating Blackburnian Warbler for example, the city below is an ocean of sorts with no trees and no food for the warbler to eat. Suddenly, out of the blue a large green spot pops up. The warbler decides to land on this “island” and refuel and rest much to the delight of the birders waiting for him. Because of this, coupled with a terrific movement of migrants the night before, I can well say we played our cards perfectly. Beginning, at the maintenance field we snagged James R’s lifer Olive-sided Flycatcher among many other migrants taking advantage of the first light. We then began to wander through the Ramble and encountered waves of migrants including Tennessee Warbler, Gray-cheeked Thrush, and Least Flycatcher. After hitting the ramble we moved on to Belvedere Castle. Our stop there was highlighted by a male Cape May Warbler, another lifer for James. All the birders we ran into told us there was an enormous hatch-out of insects in the vicinity the bridge SW of the reservior. Sure enough, we encountered waves and waves of warblers (and birders!). Fantastic looks at Bay-breasted, Blackburnian, and Cape May were enjoyed by all. A Yellow Warbler flew in, and Magnolia Warblers flitted by. It was an incredible experience, watching all those stunning warblers working the trees together. 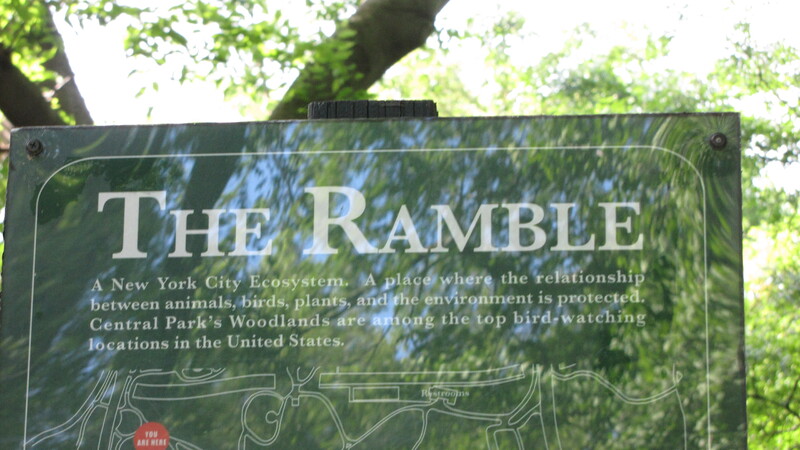 Our return to the Ramble was highlighted by a well-won Mourning Warbler, my life bird highlight of the day. Magnolia Warbler (28! )-The maggies were in abundance today! Of all those wonderful birds, my species highlight of the day was definitely the Mourning Warbler. We had returned to the Point after getting a quick bite to eat at the Boathouse Cafe. After running into multiple groups of birders excited after seeing a male Mourning Warbler, we decided we had to try for it. And we were determined to see it. After spending some time searching we joined up with a birder named Frank, who had seen the bird just before. We got into a conversation along the trail and as we were saying our goodbyes after a nice chat, a small bird with a greenish-yellow back flew into a nearby bush. Adult spring male Mourning Warbler! I got a split-second look at his beautiful face. We called Frank back and soon more birders arrived on the scene. We all surrounded the bird before it flew out into the open for a few seconds. Wow. 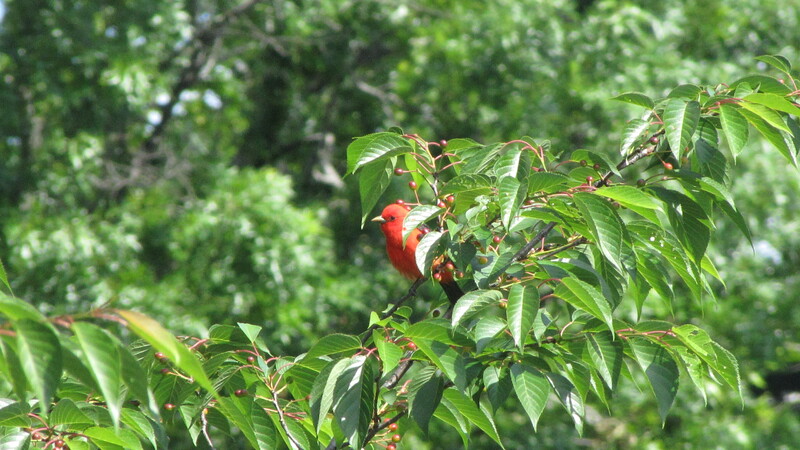 As the bird moved from bush to bush, we kept him surrounded, so others could see. Finally, we decided to leave him alone. It was an exciting chase, and a great way to end the day. This entry was posted in Elsewhere Birding, New York Birding. Bookmark the permalink. 5 Responses to Central Park, NYC, 22 Warblers!!!! Glad to hear you had a great day. Wow,what a day… I will never forget it. I still get shivers thinking of that spectacular male cape may warbler! It brings me such happiness you got to be in one of NYC’s most serene and tranquil places – as glorious as any rainforest. What an incredible experience you all had. The collection of birds you viewed – your expertise – is nothing less then remarkable, it is astounding and what a perfect day for it as well. Every description of the day is riveting to read. The words flow with utter delight as if I was there in the sunshine too. The thrill through your eyes and the spikes of elation are like a roller coaster. Tremendous job from the wake-up to the end. 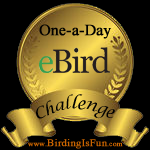 If there was such a being as a professional birder you would be it. 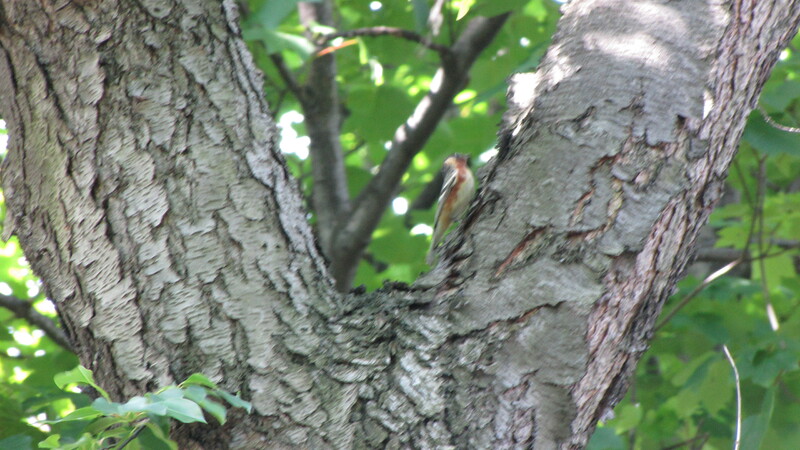 As a girl who grew up in Brooklyn, I am amazed to hear about all the birds you saw in the city. I understand your explanation about the open green space in a sea of urban development, but I’d never thought about it before. I have an urban puzzler for you…as kids we always wondered why we saw hundreds of pigeons each day, but never, never a baby one. How can that be?? Let me know if you have any ideas about that one! Take care and keep posting! I love the photos and the stories of how you got them. Birds age just like we do. And so their feathers age with them. In a lot of families this means that birds look a little different from others of their kind that are at different ages or look different at certain times of the year. However, there are a few exceptions that show no difference after the bird is a fledgling (growing flight feathers). So, I think only if you look into a pigeon nest will you see a baby pigeon. When they grow flight feathers it is then that they leave the nest and look like an adult. However, I bet people who really watch pigeon behavior, can tell by the intelligence and behavioral scope of the bird. Also, you may have noted that pigeons come in many plumage types. Most are the basic “feral pigeon” but some are black or tan or even white, there is no difference of age in these types, but it’s always fun to find one a little different than all the others. Heard James and Charlie went birding yesterday! Too bad I was on chemo, would’ve loved to go. Maybe we can all go out sometime.